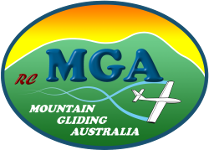 Below are proposed changes to the rules for slope soaring in the Model Aircraft Association of Australia (MAAA) Rules Book, to be presented at the 2021 MAAA Rules Conference. In the meantime, events will be held in the coming years to test these rules. In 2009 the amended MAAA slope rules for aerobatics were tested at a slope venue in Victoria. The changes were warmly received by representives from local, State and National aeromodelling bodies. Well received in particular was the demonstration of an electrified Southern Sailplanes 'Ricochet Bullet' slope soarer, without which the new manoeuvres could not have been demonstrated due to a lack of wind on the day. Unfortunately, no outcome was reached following this meeting. Since then, a tremendous amount of work has gone into the rules and accompanying guides. I believe the amendments will now satisfy those not in favour of some of the rules proposed in 2009. In respect to those people who developed the original rules around the 1960s, the rules for slope and pylon have had only minor changes, such as paragraph numbering and the like to make room for the new inclusions. Also changed in the General Slope Rules section are rules that were continually over-ridden at past slope contests because they could not be implemented on the day due to the unpredictable weather conditions. This is all explained in the Draft version. Rules for new contests have now been added to provide more choices of contest formats. As required by the MAAA for the purpose of itentifying new or altered text, deleted text has been lined out (strike-through) and new text has been typed in bold italics. While electric gliders used in slope contests have been rejected in the past, the amended rules now accomodate their restricted use. With on average one in three slope contests in the Australian State of Victoria having to be cancelled in the past several decades, purists must now acknowledge that change is needed if this sport is to survive - or to be more accurate, to be revived. Having to drive for two or three hours to a contest, only to be told that it's been called off or being advised the night before that the contest has been cancelled, after you've spent months preparing for this one day, simply doesn't cut it anymore when there is a sensible solution. It's been suggested that if electric models become involved, then we might as well have these contests at flat fields. But for those participants who have flown in both flat field and slope aerobatics, as I have, I can assure you that there is quite a difference between the two formats. Electrics technology has come a long way in the past 20 years and we should embrace it rather than turn a blind eye. This doesn't mean that slope aerobatics will become electrified. It simply means that when there is not enough lift on the day of a contest to fly or fly safely, electric gliders, when in use, would be required to gain height, then perform the manoeuvres with the motor switched off. The quality of the performances would also improve because optimum height and in turn, optimum speed for each manoeuvre, could be attained with consistency. The day's competition would not drag out for so long, which was common in past events. On the perfect day, a pilot could get through a routine in about 8 minutes. Whereas on a bad day, that's a day where the lift is scarce, a routine could take double that time. And on a safety issue, with electrics involved, pilots could avoid getting caught out unnecessarily by unexpected sink (a massive loss of height in a very short period), which in some cases has seen gliders in past events plummet to the ground in dramatic fashion. The documents in this book are the result of over 25 years work and I am delighted to share this literature with slope soaring aerobatics enthusiasts, not just in Australia but around the world. I believe that my aerobatics book is unique, in that nothing like it has been presented or published anywhere else in the world. If embraced, the judging systems could revolutionise how aerobatics is judged for aircraft aerobatics in general, be they models or full size aircraft. No stone has been left unturned to ensure that future competitors, organisers and judges will have everything they need to run a quality, slope soaring aerobatics contest. I welcome constructive criticism, which may include spelling, grammar and punctuation improvements, as well as your general thoughts on other improvements. Please email your positive comments here. To obtain a hard copy of the aerobatics book (without the watermarks), please contact me here. This is to be listed on the MAAA website as a Manual of procedures (MOP). While it is customary to accompany an appendix with the Rules Book to elaborate and/or clarify the rules, in this instance there is too much text and too many images to do this in a practical way and keep within the guidelines. Instead, rather than an appendix to accompany the rules, additional guidence can be sought via the new MOP, which has absolutely everything a competitor, contest director and judge need to know for competing in a slope soaring aerobatics contest.